Find your serenity at this idyllic lakefront resort. 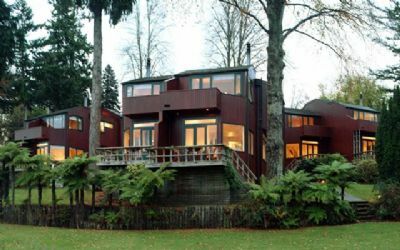 The Retreat Taupo is located in a wooded setting on the shores of Lake Taupo, New Zealand’s second largest body of water. Experience the area’s wide variety of diverse year-round activities including fly-fishing, golf on championship courses, and the phenomenal geo-thermal geysers of Rotorua. Buy one of these New Zealand timeshares for sale at The Retreat for a fantastic North Island holiday! The Retreat Taupo’s two-story, rich red, Canadian cedar timeshare chalets are surrounded by green lawns and manicured gardens. 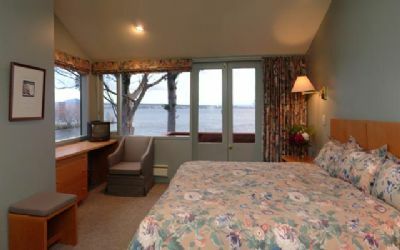 Amazing lake views are seen from the chalet’s many windows and furnished deck or patio. With two bedrooms, two full baths plus a half bath, chalets offer privacy for four people and sleep up to six people. Bedrooms are upstairs for privacy. A sleeper-sofa is in the living area. A full kitchen includes a dishwasher, microwave, and dining area. The living area stays warm and cozy on winter nights with an open wood fireplace. 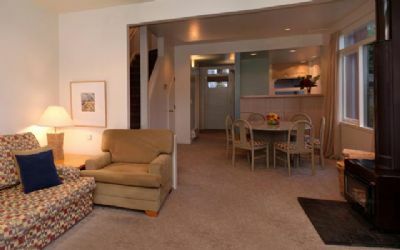 Amenities include color TV, video player/recorder, radio, CD player and central heating. For your convenience, the timeshare has a washer/dryer, iron and board, and vacuum cleaner. 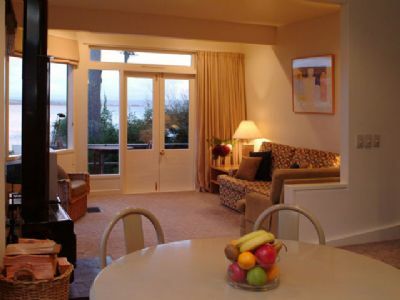 Vacation year-round at The Retreat Taupo. At the resort is a heated indoor swimming pool and Jacuzzi/Hot tub. Just steps from the chalets are the lake and beach where you can practice your fishing skills. Winter area activities include downhill skiing and snowboarding on the nearby slopes of Tongariro National Park. At other times, you can boat, golf, hunt, bike or take a helicopter ride for some exceptional sightseeing. 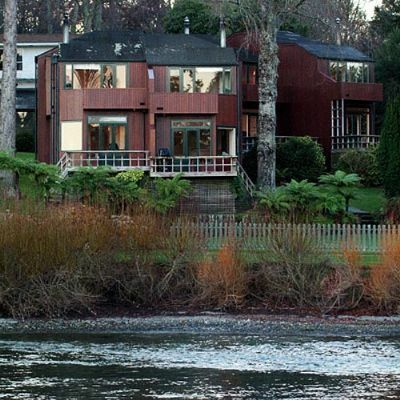 Contact The Retreat Taupo Specialist Today!